Qantas has confirmed plans to cut more than 500 engineering jobs and close its heavy maintenance base at Melbourne’s Tullamarine Airport, ending weeks of speculation after the airline earlier flagged plans to consolidate its operations in a cost-cutting move. Qantas said it would relocated heavy maintenance of its Boeing 737 fleet, currently conducted at Tullamarine, to its facility at Brisbane Airport, which employs about 400 people. The closure of the Melbourne base cost 422 workers their jobs, while 113 jobs will be cut from the airline’s maintenance facility at Avalon Airport near Geelong. Monday’s announcement, which was released to the ASX just as embattled ex-Labour MP Craig Thomson took to the floor of parliament, did little to quell speculation that Qantas will also close down its Avalon facility within a few years. Qantas maintains its ageing fleet of Boeing 747s at Avalon but is slowly phasing out the jumbo jets in favour of Airbus A380s, which it maintains outside of Australia. 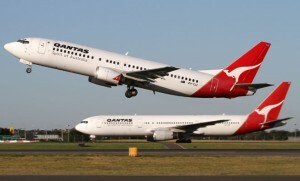 Qantas says its maintenance operations in Australia cost at least 30 per cent more than its competitors and claims that labour demand will drop by 60 per cent over the next five years as ageing aircraft are replaced by newer models. But critics say Qantas is using fleet replacement as a way to outsource maintenance work to cheaper sites in Asia, as with the A380. Cousins and others also slammed Qantas for trying to bury news of the layoffs by timing the announcement to coincide with Thomson’s speech to parliament. Qantas hopes to save between $70 and $100 million by consolidating its maintenance operations but said the one-off cost of the redundancies and closure of the Tullamarine base will total about $50 million. The airline flagged the consolidation in February on the back of an 83 per cent drop in half-yearly profits. At the time, the carrier also announced a separate round of 500 redundancies, including 225 from engineering, 45 from planning, 65 from catering and 122 cabin crew. Qantas will continue to conduct line maintenance at Tullamarine employing about 300 people. When will these closures be taking place?